Roald Dahl was born 100 years ago in Llandaff, Wales on the 13th of September and this year marks his centenary. 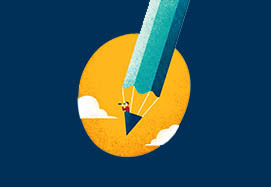 His writing career started in the United States with short stories and magazine articles for adults. Roald’s first venture into children’s fiction was the short-story Gremlins, which he wrote for Walt Disney in 1942. Gremlins wasn’t a success, so he returned to writing for adults producing the best-selling short story collection Someone like you in 1953. It wasn’t until in the 1960s that Roald Dahl established himself as an important children’s writer. 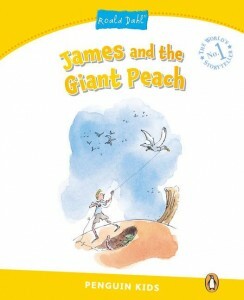 In 1961 he published his much loved James and the Giant Peach. Many of Dahl’s child characters find themselves in unpleasant or impoverished situations and at the mercy of cruel or eccentric adults. James, an orphaned boy who lives with two nasty aunts, is no exception. He escapes and becomes the hero of a fantasy world populated with a cast of larger than life bugs including a centipede with a lot of shoes! 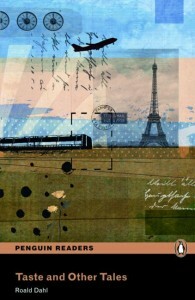 Many of the seeds of Dahl’s great stories were inspired by his own life experiences. At boarding school he was one of a number of school children to trial different chocolate bars for a well-known chocolate manufacturer. At school Dahl dreamt of creating the most delicious chocolate bar ever. 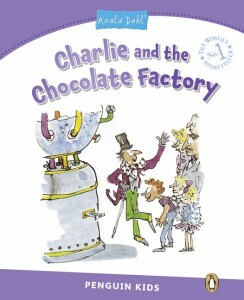 In 1964 he published Charlie and the chocolate factory. It was a huge success and was later adapted into two major Hollywood films. Nature is also an important element in his work. Inspired by the rural setting of his home village in England he wrote Fantastic Mr Fox. Mr Fox has been stealing from three very mean farmers but they have discovered his identify and have surrounded him and his family. Only a fantastic plan can save them, but Mr Fox is very clever. Your students will love the cunning twists of this story. Another success for Roald in the 1970s was the Enormous Crocodile published in 1978: http://pearson.es/españa/TiendaOnline/enormous-crocodile . Who could forget the illustrations of Quentin Blake the creator of those menacing sharp teeth of the child-eating enormous crocodile? 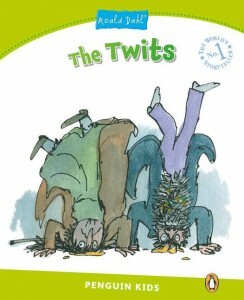 Blake went on to illustrate many of Dahl’s children’s books including The Twits published in 1980. The Twits is a fine example of Roald’s incredible invention and shares some characters that also make an appearance in the Enormous Crocodile: Roly-Poly Bird and monkeys called Muggle-Wumps. The Twits are cruel retired circus trainers. Mr Twit puts sticky glue on tree limbs in order to catch birds for Mrs Twit to make into pies. In the plot your students will come across wormy spaghetti and a glass eye in a series of pranks and jokes performed by the Twits, fortunately, the animals come to the rescue. The 1980s was a prolific period for Roald Dahl, too. He wrote 2 autobiographies, 3 poetry collections and 6 acclaimed children’s stories. He had always loved telling his own children stories and by this time he had become a grandfather. Which young child could not love The Giraffe and the Pelly and Me 1985? A window cleaning business that needs no more than a giraffe as a ladder, a pelican to carry the water and a monkey to do the cleaning. How did they get on cleaning the house with 677 windows for the richest man in England? 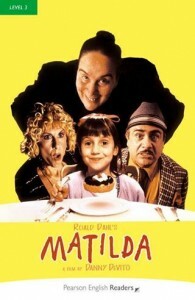 Matilda 1988 is a classic Dahl tale. Like Mr Fox and James she is the underdog. Neglected by her parents and subjected to a head teacher who hates clever children, Matilda finds a way to be strong. The story is typically bursting with Dahl humour, he once remarked that he was able to connect with children because he would laugh at the same things that make them laugh. Matilda is another child hero who triumphs over a world of less than perfect adults and has the power of telekinesis. Roald Dahl died in 1990 but his magic lives on. It can also live on in our classrooms. 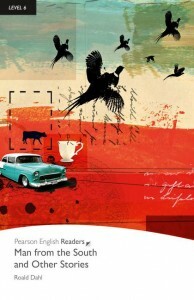 Why not celebrate his centenary by selecting one of the Pearson Graded Readers as a text for your students this term? Apart from an engaging reading experience, there are endless opportunities for project work with students presenting information about plots, characters and even attempting to illustrate the main ideas of the stories; as Dahl once said: ‘’A little magic goes a long way’’. And remember Roald Dahl didn’t only write stories for young children. His short stories for adults are a fascinating insight into human behaviour, often macabre and with unusual and surprising final twists. While your students discover the world of giant bugs, cunning foxes and children with exceptional powers, you can also discover Dahl’s short stories for adults. Check out Taste and other Tales, and Man from the South and Other Stories. For more information on the works of Roald Dahl in original and graded reader format, visit our online shop. This entry was posted in Culture, English language, Ideas for Class, Onine resources, Pearson, Teaching Adults, Teaching Teens, Teaching Younger Learners and tagged books, ELT, Pearson, Pearson English Readers, Roald Dahl by Manuel Caro. Bookmark the permalink.